Many different types of materials are used to create composites. Below is a description of the most commonly used at Element 6 Composites. Polypropylene Honeycomb: The advantages of the polypropylene honeycomb is that it is tough and durable, resulting in a strong impact resistant laminate. Additional properties also include resistance to moisture, and high sound and vibration attenuation. Aramid (Nomex) Honeycomb: Aramid fiber paper (for example, Nomex from DuPont Corporation) is an excellent lightweight non-metallic core material. Nomex offers excellent resiliency, low density, corrosion resistance, flame retardancy, and good compressive strength to weight ratio. Kevlar Honeycomb: Like Nomex, Kevlar from DuPont Corporation is also manufactured from aramid fibers. However, the structural properties of Kevlar are better than Nomex, particularly in compressive strength. Carbon-Fiber Honeycomb: Carbon-fiber can also be used as a core material; however, the cost is very high. Structures with this type of construction are often limited to space applications, for example, satellites, where weight savings is critical, and the thermal expansion needs to be kept at a minimum. Metal Honeycomb: Various metal honeycomb core materials are available, depending on the application. Aluminum is a common metal used for honeycomb cores, particularly when used with fiberglass face sheets. The compressive and shear strength of aluminum honeycomb are excellent. Airex Foam Core: Airex is a closed cell, cross-linked polymer foam, which is lightweight and has good impact strength. 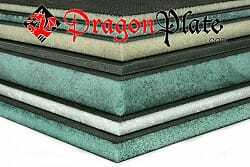 Depron Foam Core: Depron is an inexpensive, non-structural foam. A Depron carbon fiber foam core laminate has excellent strength and stiffness in bending; however, lacks the compressive strength and crushing resistance of a structural foam core. Divinycell Foam Core: Divinycell foam core is a medium density structural foam with very high strength, often used for heavier duty applications where lighter density foams may not work. In particular, Divinycell H100 is an excellent damage tolerant foam, and is ideal for applications that require resistance to impact and local crushing. Balsa Wood: Balsa wood, when used as a core material in composite fabrication, offers a very high strength and stiffness to weight ratio. End grain balsa provides exceptionally high shear, tensile and compressive strengths for its weight. Balsa is also a renewable resource, with typical balsa trees maturing to 90 feet in seven years. Birch Plywood: Birch plywood is higher density than balsa wood, providing a durable final product with excellent compressive strength, resistance to local crushing, and machinability.